Mook joked that he is pretty certain his guys did not score eight total runs in the playoffs prior to Saturday’s semifinal outburst. It has been a wild ride that took the team this far, where they earned the right to beat the same team that defeated them and ended their season a year ago. The final out recorded, the Warriors then dogpiled in celebration. Jupiter originally opened way back in 1965, and the current campus took over in 2003. 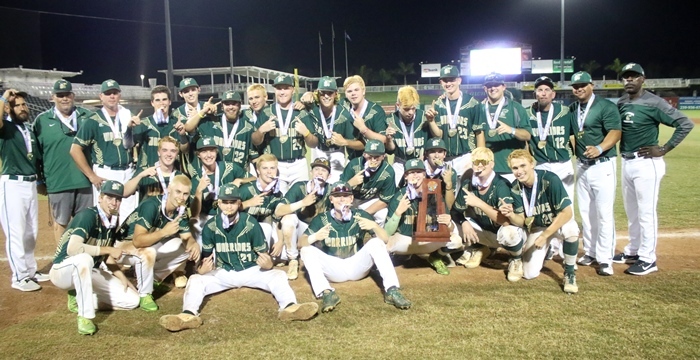 In recent years the baseball program has made some impressive upgrades to their home stadium at Doug Ferguson Field, and now it welcomes its first state championship banner. 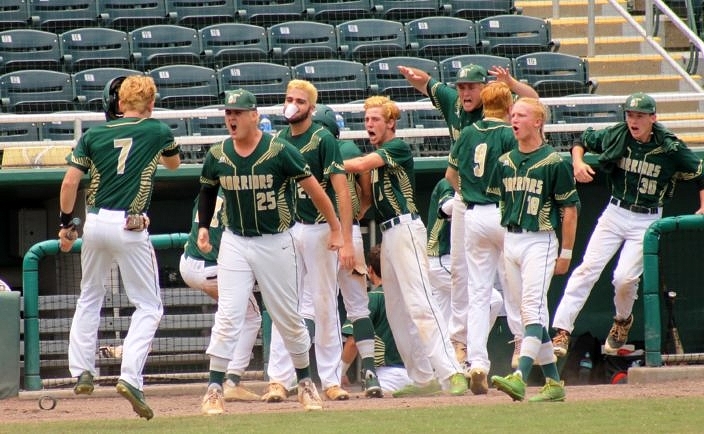 As was the case for this year’s state winners in the other high state classifications, the Warriors closed the year with more losses than is typical of the champion. 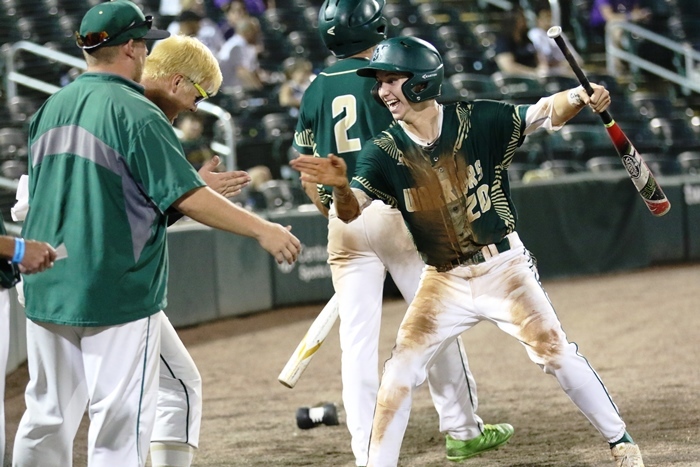 Rather than worry about winning every game on a lighter schedule, Jupiter loaded up the opposition and learned from some of the tough losses it dealt with playing high-caliber teams on their home turf. “We never got more than three games above .500 all year, and you look at those teams that go 20-5 and you think they must be way better than Jupiter. We just had more experience, we play a tough schedule every year and it prepares us every time,” Mitchell said. 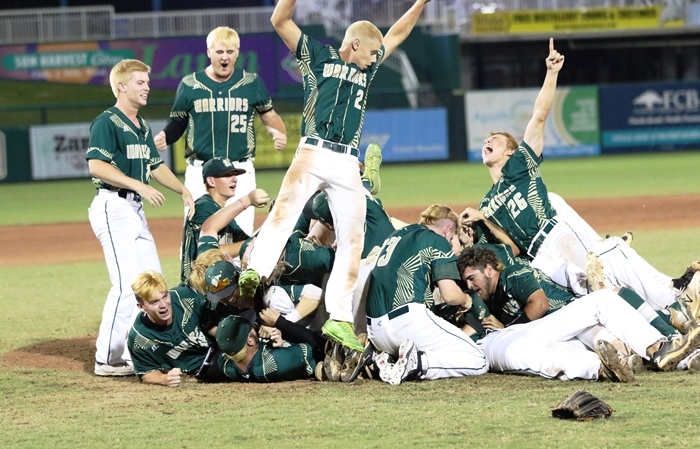 That process began to evolve over the last five or six seasons, and has now helped to elevate the Jupiter program into elite status as a state champion. Having rewarded all the hard work even of the former players that came before them meant the world to the team.